Can I add my own logo? Yes, you can upload any logo you like, although it must be in “png” format and ideally with a transparency layer so that it works with whatever background colour you choose! To upload your own logo, go to admin.folissimo.com, click on preferences [preference icon], then click on the Logo section [logo icon]. Select “Use your own logo”, then upload your png. Folissimo will automatically resize your logo, but ideally it should be around 400px. Most themes are “responsive” which means that they change size depending on the screen size of the visitor to the site. How do I get Google Analytics to track users who visit my Folissimo page? Once your property has been created it will automatically be assigned a property id that will look something like this "UA-29682960-1"
Log in to the Folissimo Admin page (admin.folissimo.com), go to "preferences", then click on the "search" tab. Paste your property id into the "Google Analytics" field and press "save"
I want to add a watermark to my images, how do I do that? NB This is only applied to each image that is uploaded FROM NOW ON. If you want to change/add a watermark on an earlier image, you must re-upload them as the watermark is embedded into the image when it is resized. How does the affiliate scheme work? 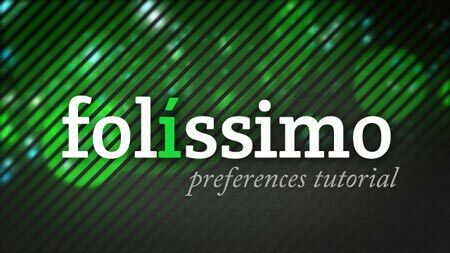 Anybody who signs up to Folissimo (even the trial) is automatically given their unique affiliate link. Spread the link around and if anybody signs up to the trial using your link, you instantly get free extra days added to your account. If anyone who signed up using your link then goes on to pay for Premium Folissimo account, you get even more extra days. Your affiliate link and the number of extra days can be found in the admin section “admin.folissimo.com” by clicking on the “Share & Earn” link [share icon]. I think I can get loads of people to sign up. Is it really only extra days that I can earn? Of course not! Drop us an email ([email protected]) and we’ll work something out. If I’m on the Trial, can I still earn extra days from the Affiliate Scheme? Yes you can and there is no limit to the number of extra days you can earn. 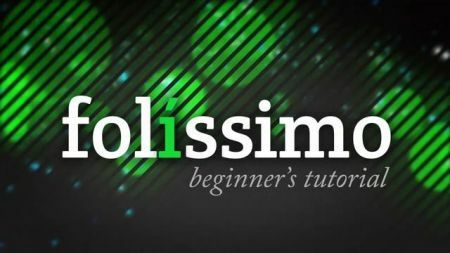 So in theory, if you get enough people to sign up, you will never have to pay for Folissimo. Can I get my Folisismo page to post automatically to facebook? Folissimo provides both an RSS and Atom feed for each category. Facebook no longer auto-posts from RSS feeds. Folissimo aims to introduce a facebook app to automatically syndicate content to your Facebook feed, but until that is introduced you will have to use third-party software to do this for you. Your feed will still be automatically syndicated even though your page is not confirmed as yours. How do I use my domain name for my Folissimo page? You can link domains you already own to your Folissimo page so that when you go to www.yourname.com, your Folissimo page appears. If you do not already own a domain, you can purchase one from a number of different websites, but we recommend www.lcn.com and www.123reg.co.uk for .co.uk names or godaddy.com or dynadot.com for .com names. We highly recommend you buy “whois” protection as it prevents your name address from being on the publicly-accessible on the domain registration database. It may take as long as 24 hours for your domain to be set up, but this usually happens much faster. Within an hour you should receive an email saying that everything has been set up correctly from folissimo. Now if you browse to your domain name, it should show your Folissimo page. If, after 24 hours, it still does not show anything, drop us an email ([email protected]) and we’ll try and get it working. Your browser often assumes that the page you have viewed hasn't changed. To make sure that you are viewing the latest version of your Folissimo page, be sure to refresh it (usually F5 button). If you are not able to watch a Vimeo video that you've uploaded on your mobile device, it means you are only using a free account at Vimeo. I’m a webdesigner, can I use the Folissimo management system for my client’s site? Yes you can, although we haven’t rolled out our developer subscriptions which will offer template-less visual content management for a discounted annual rate. If this might be of interest, please get in touch ([email protected]) and we will create one just for you. I’ve got a great idea for a theme, what do I do? PLEASE get in touch at [email protected]! We’d love to hear from you!